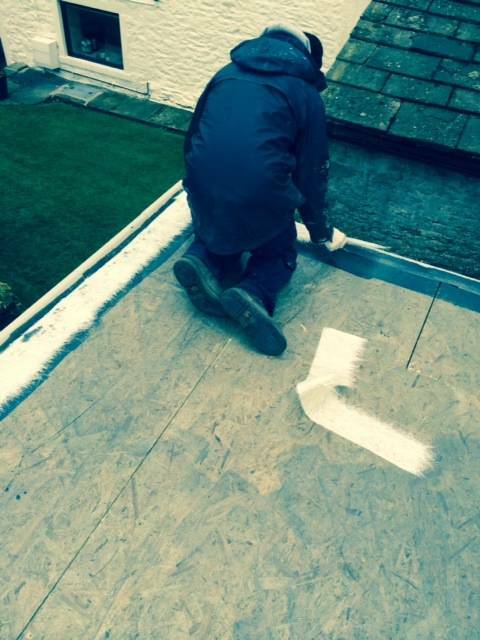 The resin is measured out and rolled on the the boards and over the trims. 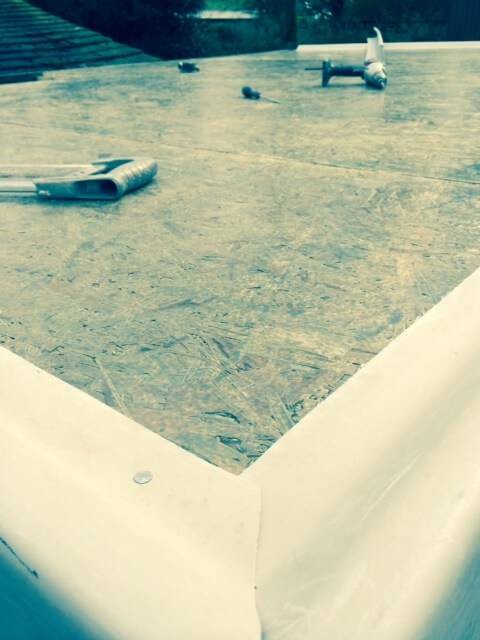 Fiberglass strand matting is then placed on top and another layer of resin is applied. 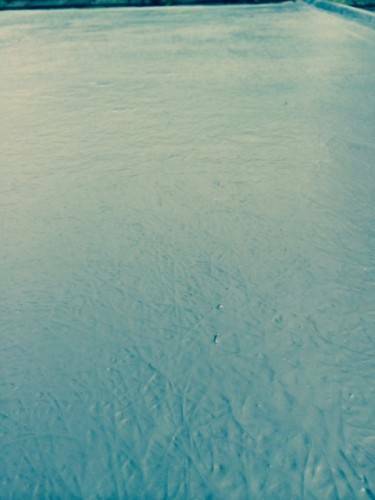 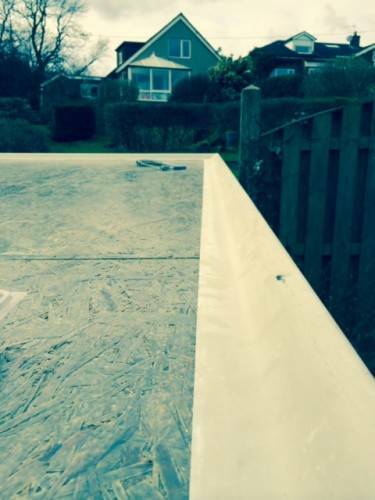 The resin soaks in to the matting and is worked in with rollers making sure no air bubbles are trapped in the Fibreglass. 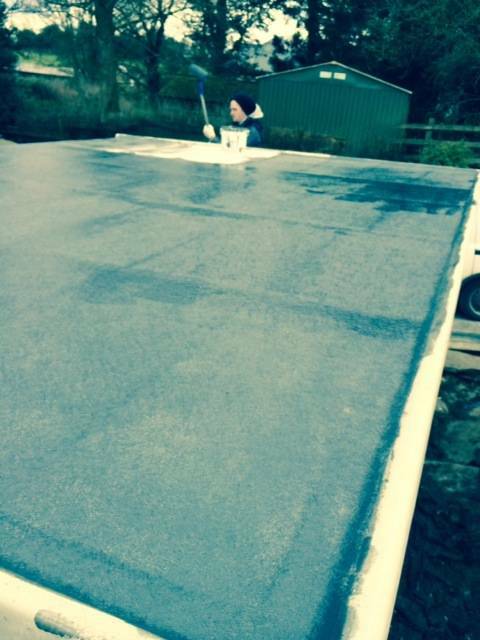 Top coat can be coloured to the costumers request, usually we will use slate grey to keep in keeping with the surroundings. 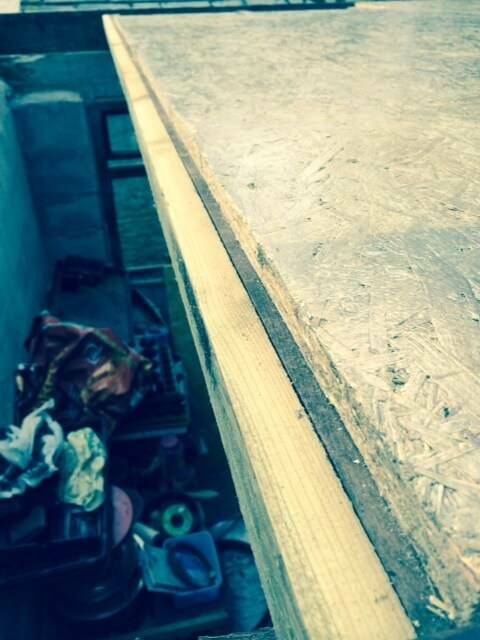 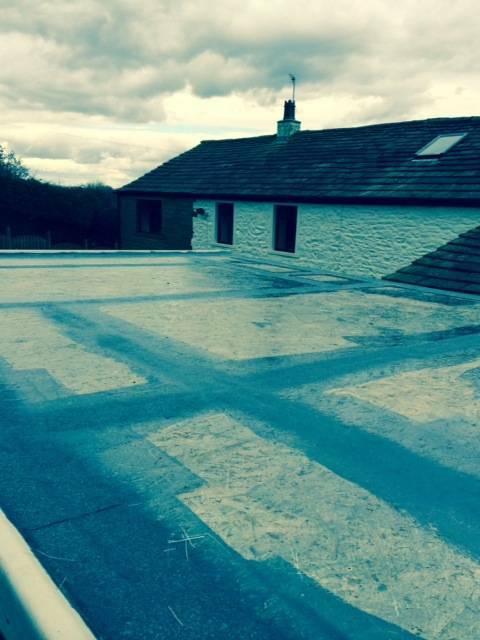 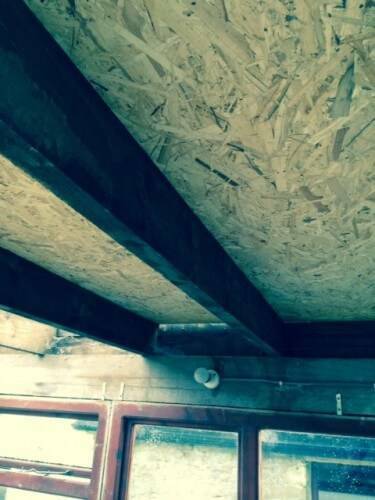 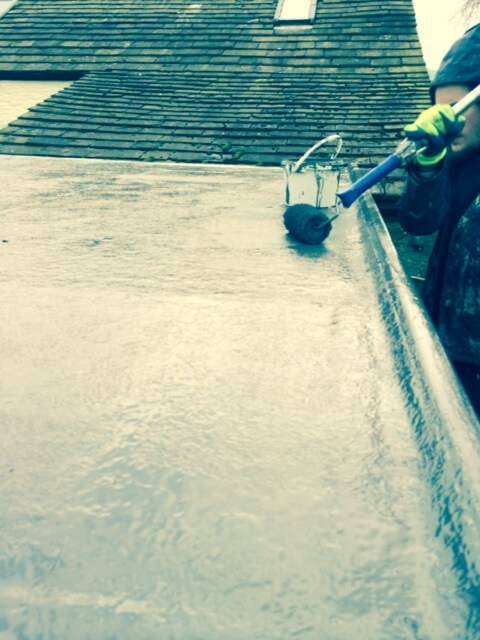 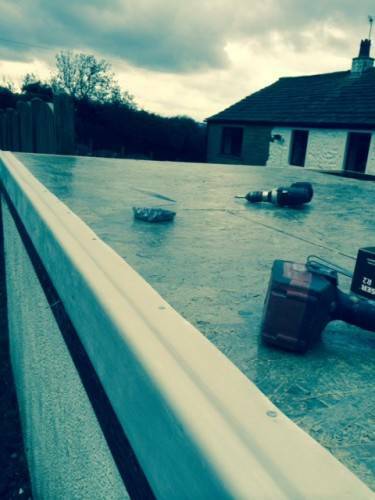 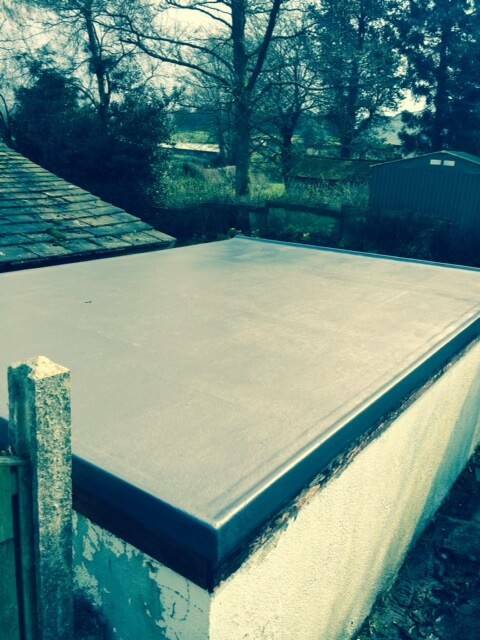 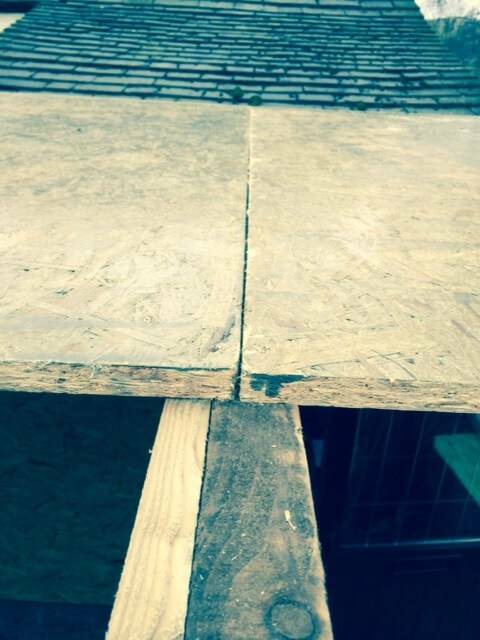 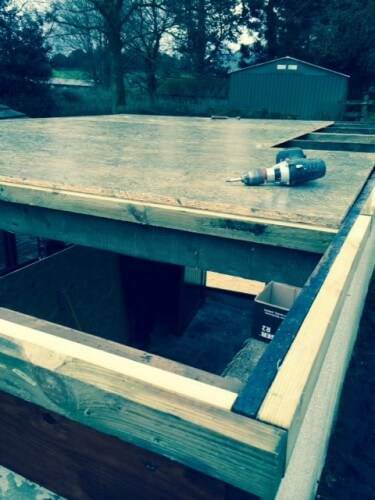 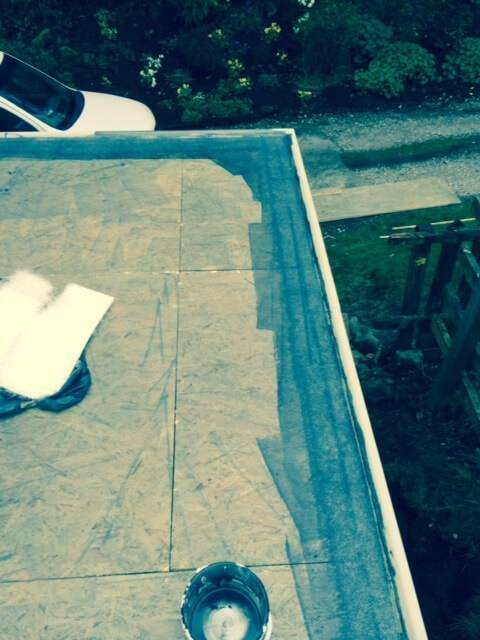 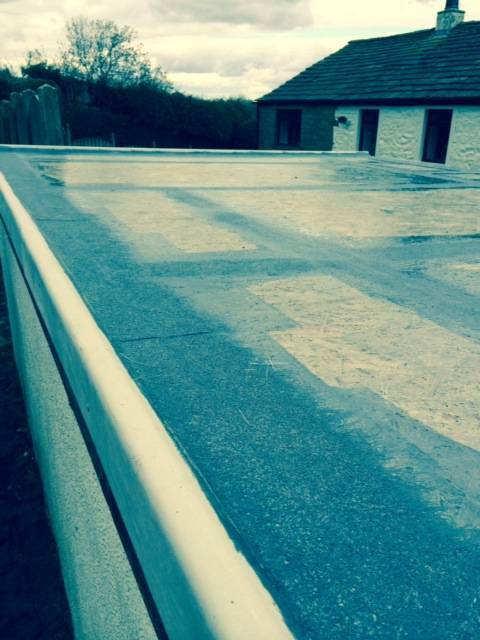 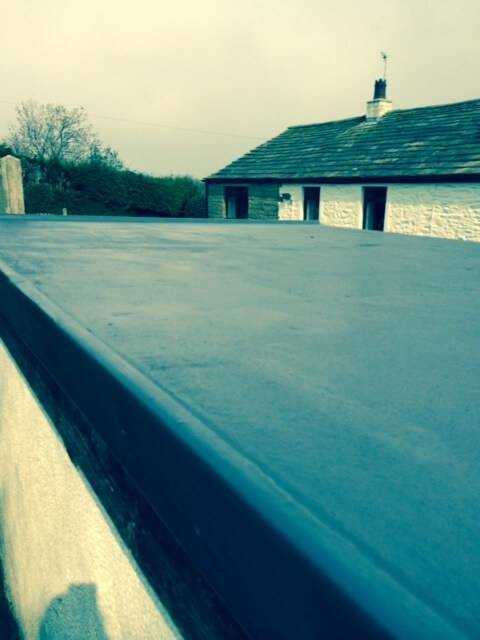 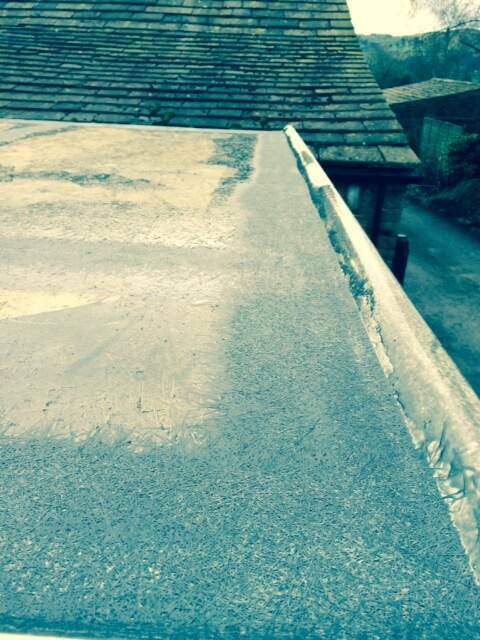 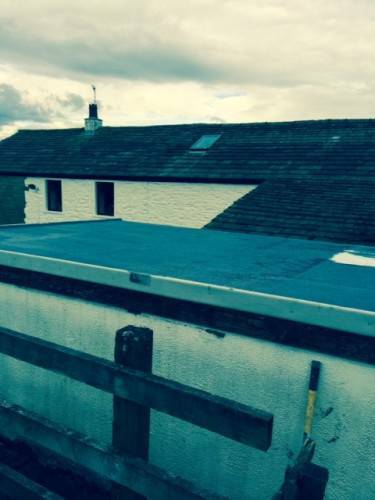 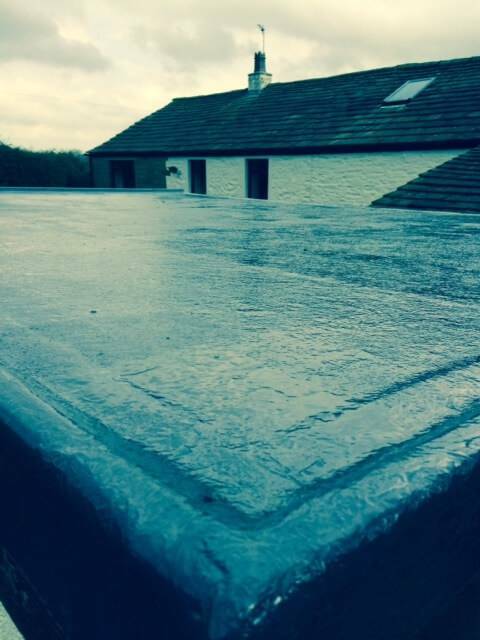 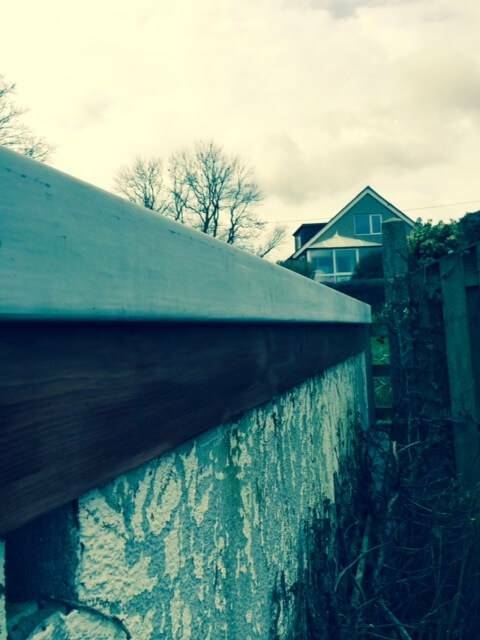 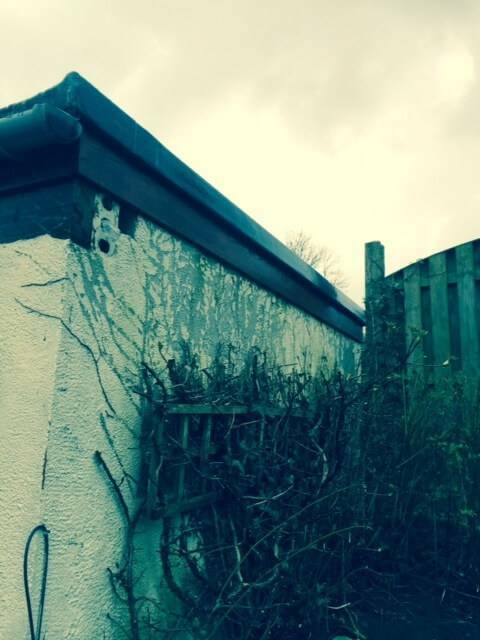 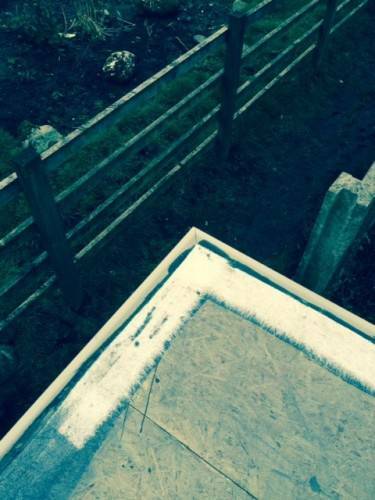 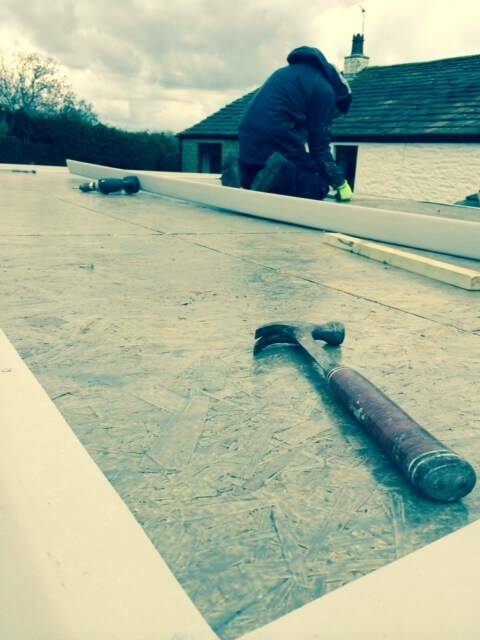 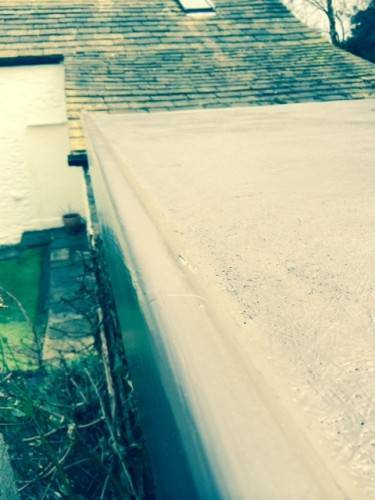 TF Building are a Fiberglass flat roofing specialist Skipton. 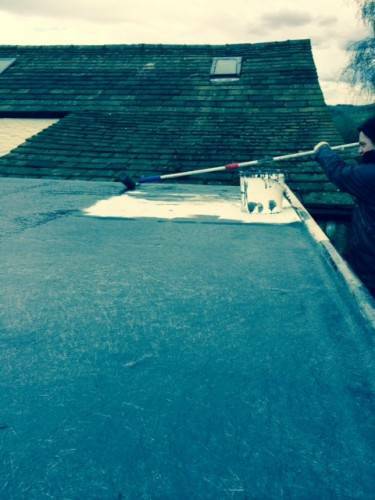 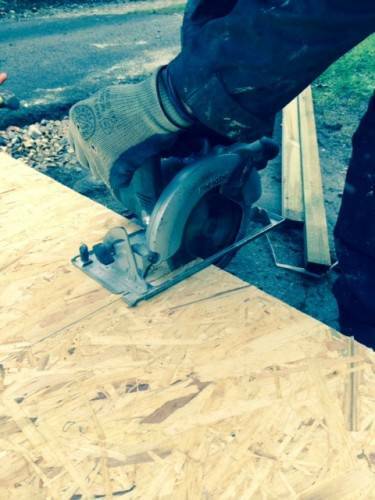 call 07985711011 to for a free estimate.